Heyyo! 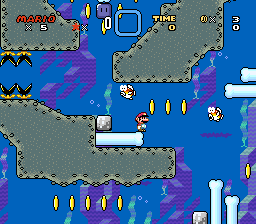 Welcome to our sometimes bi-yearly update on Super Mario Strugglez! 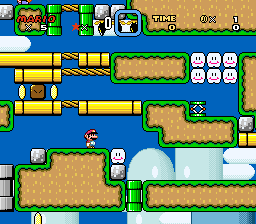 We are nearly approaching 7 years of working on this hack, and basically every puzzle has been completed! There are still some things we need to make, but for the most part all that remains is break testing, decoration, music, and all that practically irrelevant junk. Our new goal, which probably won’t happen based on our history, is winter c3! So fingers crossed, but things are looking good for the hack. In the mean time, enjoy a comparison to how levels looked originally vs now that we have made them pretty (hopefully you agree). Because I am lazy and am running out of time, you only get the following images. Lastly, in case you are interested, nathanisbored has been busy trying one of the last levels in the hack. So far he is about 12.5 hours in and has only solved the first step. Check out his stream here to watch him struggle! 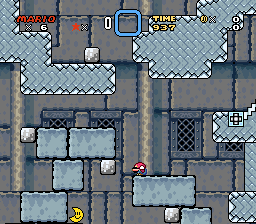 The Long Way Down – World 2-1, ~5-6 hours to solve. Green Switch Palace – World 3-Switch, ~5-6 hours to solve. 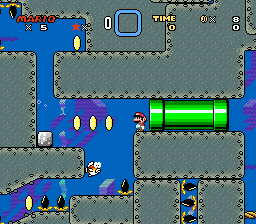 I Lava You – World 4-4, 12.5 hours in, 1/3 solved. If you would like to try Blind yourself, we released a demo you can download here. This one I'm reaaaaaally waiting to be done, I'm glad it's almost over. I've played Blind a couple of times and I couldn't figure out the whole solution by myself, tho I try to always be in nathan's streamings to help him (brainstorms are cool). Glitch hunter, RAM eater, pseudo-TASer. Our new goal, which probably won’t happen based on our history, is winter c3! jk, I'm really excited for this hack. This is probably one of the only hacks I've actively followed longer than half a year. Sadly can't catch most of nathan's streams 'cause he streams at literally the worst time but the parts I did catch looked more than promising. Neat, I actually just downloaded an older demo and meant to play it. Is it just the one level in the demo? I can't believe it took a whole seven years for this (amazing) hack to be worked on unless it takes you another year. I'm already excited to see this finally done. And yeah, the demo has just that one level lol. The demo is only a single level, but I can assure you that it should be challenging enough to entertain you for a while. Oooh look at my userbar! Sadistic Designer - testing Pit without tools. Dunno, took under an hour to finish. 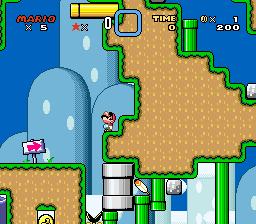 Though, to be fair, I have seen a solution to this level before which might've affected me a little, can't tell. I mainly just remembered the vine(?) related glitch over the top which I've only seen in a gif from kaizoman and in that video ever. Thinking of that might've added a bit more time but the rest I pretty much forgot so I'd consider it blind. In the video I found someone commented that the solution shown wasn't the intended one and it'd be fixed, however as far as I can tell, it's been made easier at best. Okay nvm I'm just dumb, that is probably fixed. 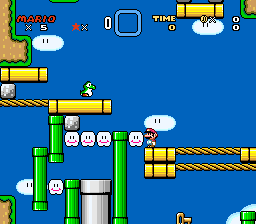 I did end up with a completely different method of ending the level compared to that video though, mine made me yoshi ceiling jump to the key and required a somewhat precise jump at the end though which is probably not the intended difficulty you guys were aiming for? dunno, maybe it was the intended one, if I find some time I'll upload my solution. There it feels like there should be an easier solution but idk, maybe this is intended.